My reason for taking the following approach to Thomas Nagel’s objectivism and metaphysical realism comes from certain comments he makes in The View from Nowhere (1988, 11-12). In that book he says that his philosophy is driven by his moral feelings. Some may say that there is nothing strange with that in the field of ethics itself; though what if Nagel’s “desires and sentiments” are responsible for his metaphysical and epistemological positions too? Take Nagel’s pronouncements and compare them with Michael Ayers comments in his book on Locke. In it he writes that it is “absurd” to think of “a particular moral, political or religious orientation’s motivating a theory of knowledge or being” (1991, 1:8). So this essay is not an analysis of Nagel’s positions within metaphysics and epistemology. It's an examination of how he may hold such positions. It's not to the point, therefore, to say that I don’t offer a good analysis of, say, Nagel’s positions on necessity, objectivity or “pre-linguistic concepts”. Such analyses are not part of my intention in the paper. I want to explain why he holds such positions; not whether his positions have argumentative power. This means the work is also speculative and psychological. Speculative because I haven’t got access to Nagel’s mind; and psychological because his behaviour (that is, his linguistic behaviour) is not the issue. There is nothing new here. Kant the transcendental idealist professor ended up believing exactly the same things about God, immortality, freedom and morality as Kant the North German Pietist who preceded him. So just as some could say that Kant’s whole philosophical enterprise was an attempt “to limit reason in order to make room for faith” (and Bishop Berkeley's philosophical system was an attempt to limit the pretensions of advancing materialist and deterministic Newtonian science), so Nagel, through his anti-naturalism (or mysterianism), is limiting philosophical naturalism (which, in his view, includes pragmatism, positivism and the late Wittgenstein) in order to make room for, amongst other things, the ineffable, the necessary and non-linguistic “thought”. To reiterate. I shall not be directly commenting on Nagel’s stance on ethics because, as I will try to make clear, what interests me are the moral “sentiments and desires” and mystical yearnings which may drive his epistemology, logic and metaphysics. And it's clear that Nagel is precisely the kind of rationalist he refers to above. Take Descartes being at his most dishonest when he smuggles in God to tighten up his system (or take the idealist Berkeley smuggling in God for similar reasons). For instance, Nagel clearly wants to downgrade the analysis of language (or at least language use). This is, after all, simply an empirical enquiry. He emphasises instead the point that Fregean Thoughts, or his own “concepts”, predate experience in a manner that roughly compares with Kant’s "a priori concepts”. He is also a rationalist in the Cartesian sense too. That is, the human subject can somehow unhook himself from the rest of the empirical world (including his own body). And not even the empirical data needed for such cogitations are of that much importance when compared to the “order of reasons” which we must “submit” to rather than “create” (1997, 143). Nagel is searching for the necessary, the absolute, and those aspects of the human mind which we all share and those aspects of experience that are common to all experiences. Such a search is essentially Kantian in form, if not in content. 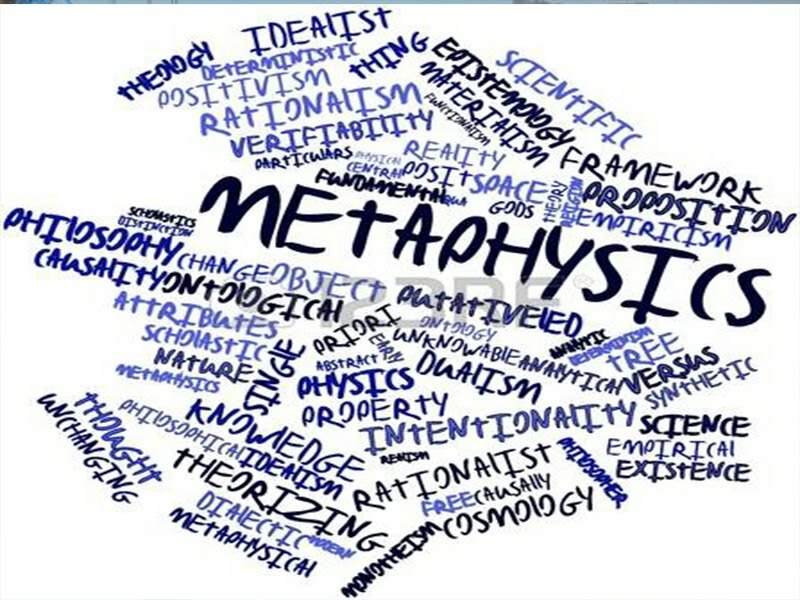 It's a search for universals (which some would argue has been definitive of Western metaphysics, otherwise what has been the point). But what is it, precisely, that is “mystical” or “quasi-religious” about all the above? As I’ve just said, Nagel downgrades experience, language and contingency. He is essentially stressing those facets of reason and mind that we come into the world with. The things that are built into us as human subjects in a manner which, as I said, Kant would recognise. (However, Kant is far too idealist for Nagel.) And if these facets were there before language-use and all other interactions with society, and indeed with any other human beings, then they are closer to God and the Other World than they are to the world of departmental seminars, raging hormones, book deals, voting and tax forms in which Nagel, presumably, lives and breathes. By tapping into these givens, or simply by using or understanding them through realist analytic philosophy, we are acknowledging God’s rather than society’s gifts to us. Even if Nagel is not - rather immodestly - placing himself and selected other philosophers closer to God, he is in effect celebrating the things God has placed within all of us. This effectively means that by distancing himself from “time and chance” he becomes closer and closer to the Eternal and the Necessary, which are God’s good works. Contingency is, of course, the Devil’s work. This is the platonist strain in Nagel. So, yes, bringing “God” and the Other World into the picture is entirely speculative on my part, as I said in the introduction. Though considering the fact that we have lived in a God-obsessed and Christian culture for two thousand years, and, on top of that Nagel himself must have been placed in a theist culture of some kind, then my speculation may not be, as Kant (later) puts it, entering “the void space of pure intellect”. Indeed some analytic philosophers will probably regard this paper as one big ad hominem, with Nagel as the victim. There is an element of the ad hominem in the essay; though I don’t think that is the whole of the story. There are some things about Nagel’s position that are clearly more “mystical” than “religious”. I need hardly say that I think that Nagel is similarly “abandoning the world” of empirical or experiential reality and language because they're inadequate to the task of providing us with necessity, certainty, objectivity and other such holies. And he too, I think, ends up in the “void space of pure intellect”. Now there's large problem for my position above: Nagel calls himself an “atheist”. Though even if I don’t doubt his honesty (as Nagel himself doubts the honesty of MacIntyre and the “ritualist relativists and subjectivists”), this isn’t really a big problem. The religious impulse can survive quite happily without the God of monotheistic religions. All sorts of psychologists, psychoanalysts and sociologists have written thousands of words on this very phenomenon. They have shown us (if we needed to be shown) how hard it is to throw off the baggage placed upon us by our parents and society at large when we were young. My favourite example of this is the case of Marxists. Haven’t many many Marxists, for example, treated Marx as a god, Marxism as a religion and Das Kapital as a Bible? And the same may be true of Nagel. He has finessed mystical/religious positions and made them more sophisticated. That is, he has expressed them in the language-game of late 20th century Anglo-American analytic philosophy. It’s a case of old wine in new bottles; or, as Jacques Derrida would have put is, a good example of “sign substitution” with content invariance. Wittgenstein, that is, the early Wittgenstein, for once (i.e., unlike the late Wittgenstein) provides Nagel with ammunition to fight for the ineffability and transcendence cause. He sums up Tractarian Wittgenstein as claiming that “what couldn’t...be said was much more important than what could be” (1997, 127). For Wittgenstein these ineffables were, amongst other things, “logical objects”, logical relations, and the relations between empirical propositions and the possibilities they represented. However, these were simply the logical ineffables which, as it were, grounded further much more important ineffables, such as the subjects who are outside the world and who are themselves the foundations for moral and aesthetic value judgements - judgements which we simply intuit or feel (i.e., subjects not unlike Kant’s noumenal selves). Nagel, like the early Wittgenstein, doesn’t like too much talk. Too much talk (or “chatter”, as Hugh Mellor puts it) ruins or destroys the talked about. So let's try not to talk about, say, neurons and synapses when we talk about the self. Let the self, unlike every other thing in this gigantic universe, spring free of all casual mechanisms. Though let it do so without too much talk. We intuitively know it to be true. And talk could undo such truth. 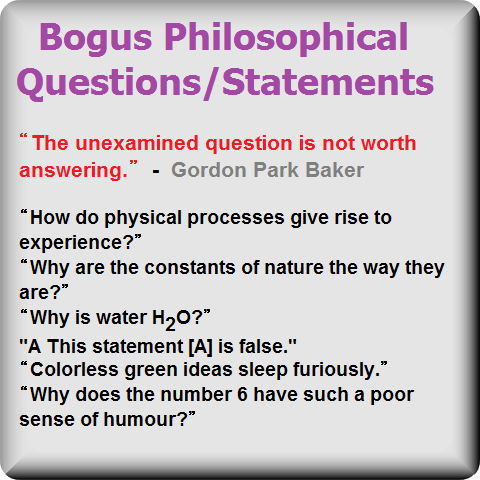 Only positivists and "scientistic philosophers", after all, want to talk about everything. Such people, Nagel may think, don’t recognise the soul, or the soul’s calling, quite simply because they don’t have souls. They are, instead, walking and talking organic algorithm-machines. This interest in the ineffable often goes alongside a belief in philosophical depth. The belief that philosophical problems are intrinsically deep. Nagel himself notes that an old teacher of his, J.L. 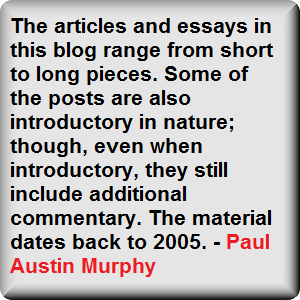 Austin, distrusted depth; though “depth was what I thirsted for” (1995) . This seems to mean that it was depth in itself, of depth for itself, that interested Nagel; not the fact that depth was often simply an accidental by-product, as it were, of philosophical problems. What is “philosophical depth”? It can’t be a synonym for “philosophical complexity”. Is it more, well, spatial than that? Is it the reality under the appearance? The noumenal self under the empirical self? 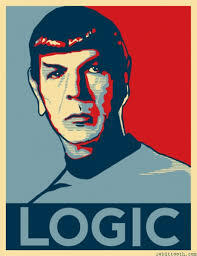 The logical form under the grammatical form? The essence under the accidents? The truth under the "simulacra"? Of course the early Wittgenstein similarly “thirsted for depth” and ineffability; though he came to believe that philosophers had in a sense been mislead by this spatial metaphor (amongst others). Or, as Terence Parsons puts it (about a slightly different subject) “[as] half the rest of the [analytic] philosophical world have been telling us, you can’t trust the ‘surface’” (37) I would put it more prosaically. Perhaps there are no similarities whatsoever between the analysis of, say, meaning or truth and the analysis of, say, an atom or a cat. The only depth there may be is concrete spatiotemporal depth. The rest is a lot of hot air. It would be fair to say that philosophy for Nagel is for all intents and purposes an instinct. That would be a rather innocuous and uncontroversial position if it weren't for the fact that Nagel also has a very precise idea of what – real? 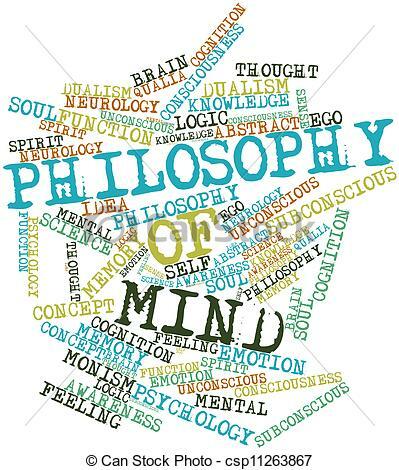 - philosophy actually is. He thinks that there are certain givens of philosophical thought that aren't culturally or historically variable. Nagel never tells us what these "preverbal and often precultural sources of philosophy" are. He doesn’t’ say what he means by “thoughts” or give us any examples. Certainly not in The Last Word. It doesn't help either that he doesn't expand on enigmatic statements such as "the content of some thoughts transcend every form they can take in the human mind" (1988, 102). What he appears to be saying (in the above) is that we must make a distinction between the necessary and the contingent. 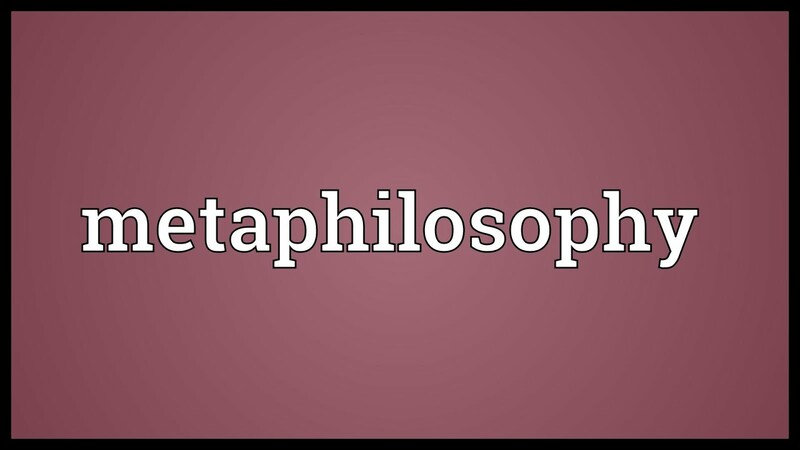 Clearly the words and languages we use to express "the sources of philosophy" are contingent. However, these very sources appear to be necessary in a quasi-Kantian sense. That is, the claim seems to be that all human beings, as human beings, necessarily have a stock of "intuitively felt problems". I must also deduce that Nagel believes that these problems are in no way caused by our conceptual/linguistic heritage. Language, therefore, is simply the bodysuit that clothes a stock of thoughts that remains unchanged. This is clearly another platonic or Cartesian attempt to escape from the contingent and the empirical. 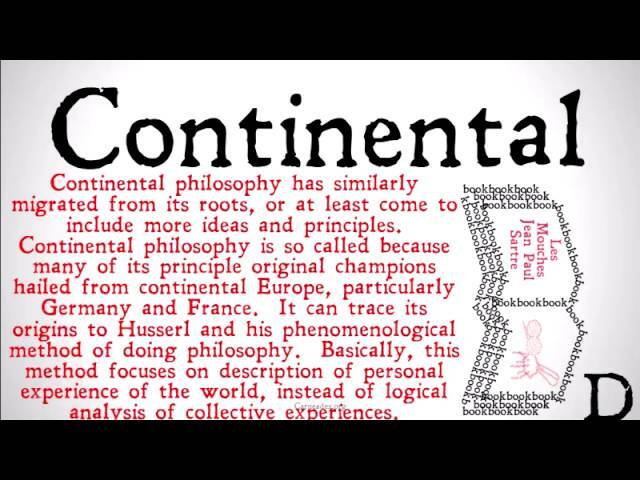 Or, less rhetorically, it's also an attempt to emphasise necessity and essentiality - a necessity and essentiality that's been given a hard time as a result on the works of the logical positivists (e.g., Carnap), late Wittgenstein, Quine and, of course, Nagel's “continental usual suspects”. Nagel also stresses the permanencies of certain philosophical problems and the ahistorical nature of basic concepts and reasonings. Why, then, does he say that “philosophy of this kind [analytic philosophy] is usually a local phenomenon” (1995, 7)? I could happily accept that this quote doesn't contradict his belief in ahistorical concepts, etc; though how does it square with his strong belief in ahistorical and “intuitively felt” philosophical problems? That is, problems aren't necessary consequents of ahistorical concepts; though they may be the consequents thereof. Forgetting Fregean Thoughts and Nagelian “concepts” for a minute, Nagel also has a high opinion of philosophy itself. Or, perhaps I should say, a high opinion of “post-positivist” Anglo-American analytic philosophy. Perhaps I should qualify even more and say that he has a high opinion of a particular kind of analytic philosophy (other than being “post-positivist”): metaphysically realist and objectivist Anglo-American analytic philosophy. (Perhaps there are only a few philosophy departments who practice such things.) That is, the kind of philosophy Nagel practices. Such philosophy too aims at transcendence because it “is after eternal and nonlocal truth” (1988, 10). His kind of philosophy is opposed to “the weaker regions of our culture” and the “ambient climate of irrationalism” (1997, 4). Though it's not just the Derridas, Foucaults and Rortys who don’t match up to his high standards, as I’ve hinted at; but “deflationary metaphilosophical theories like positivism and pragmatism” (1988, 11) too. This would presumably include the late Wittgenstein, Quine, Putnam, Nelson Goodman, Sellars, Churchland…the list is long! Nothing but a strict Platonic/Cartesian ambition will do. Nagel could never explicitly say that realist and objectivist analytic philosophy should be both the judge and foundation of all other areas of our culture; though I think that this is precisely what he believes. And he does so because he thinks that others aren’t up to the job. Other areas of culture are “weak”, “decadent” and simply don’t have what it takes intellectually. Nagel says this is because of the “extreme intellectual laziness of contemporary culture” (1997, 6) in which there is a “collapse of serious argument” (1997, 6). Despite the passage above, many philosophers sympathetic to Nagel would say that the claim that Nagel is trying “dispense with language” is simply not on. It's the position of a straw-man Nagel. Nagel, they may say, is simply arguing that there are “concepts” and modes of reasoning which come before, or at least ground, all languages. 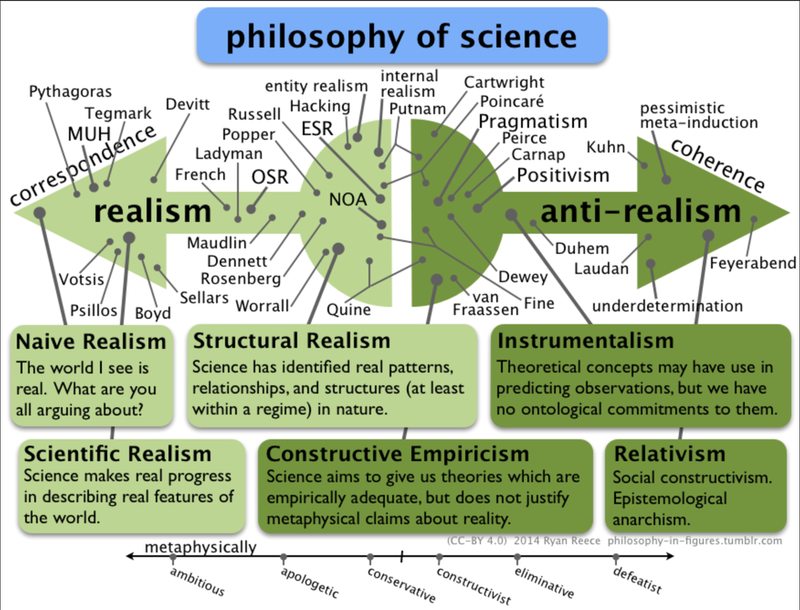 Though, they go on to say, of course Nagel would equally believe that everything (even realist and objectivist philosophy) would need to be articulated in some language or other. 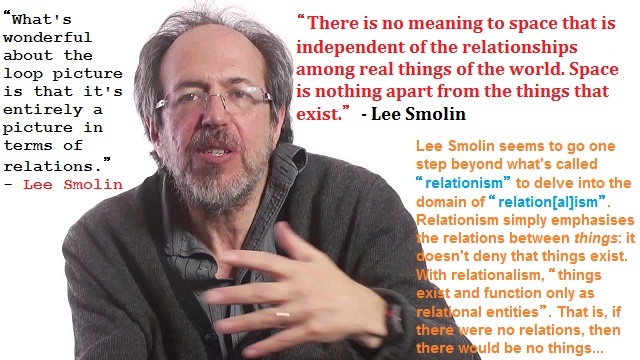 Put in this way: “relativists” or “anti-realists” may have fewer problems with Nagel’s position (though they would still have something to say how the former was expressed). However, Nagel is saying much more than that. with Nagel’s assertion that there is a "view from outside of language" (1997, 51). The above position is tacit on almost every page of The Last Word. 1) No particular language is necessary for reasoning and the expression of concepts. 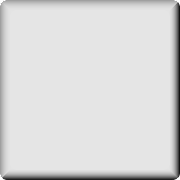 This is analogous to the mistake of believing that if a proposition can be expressed by different sentential formulations, then it must be independent of all sentential formulations. At an obvious level, how would reasoning and the use of concepts be expressed without some form of contingent language? Would it be like rotating a mental image within the mind? Perhaps Nagel's talking about logical reasoning. Though if logical reasoning isn't itself linguistic, it's often (or always) embedded within a linguistic context and the result of linguistic reasonings. Even modus ponens will be so embedded. Even if we take the variables or letter names as self-referential, we would be doing so from some linguistic point, as it were. Perhaps that point would be proving that not all reasoning is linguistic reasoning. Even if modus ponens has some kind of Fregean or platonic existence non-spatiotemporally, acts of reasoning applying modus ponens occur within linguistic contextualisations. This isn’t, I don’t think, a commitment to any kind psychologism about logical reasoning. It's psychologistic about only the reasoning itself. Modus ponens may well have existence before minds; though this doesn’t help Nagel’s platonist position. In any case, even if the letter names and variables are taken as non-referring, we still have languages of logic. We can say, platonistically, that the logical scheme, or their parts, refer to abstract objects. 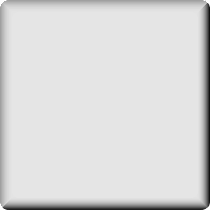 Again, the abstract objects may be mind-independent; though the language isn’t. Specifically, it's the “spiritually degenerate” position of the late Wittgenstein that particularly irks Nagel (the one which would deny 2 above). What’s wrong with that? How would the correctness of concept-use be judged? By the philosopher himself and the philosopher alone? Would he therefore be creating a philosophical private language? Perhaps they need to match up with platonic-like Forms of concepts. If they mirror such Forms, the concept is the correct one or it's being used correctly. Clearly these Nagelian concepts share a lot with propositions that are simply clothed with sentences. Though, again, none gain their identity from them. We express the proposition and we express the concept. We're required to tell the truth about the concept. Indeed Nagel seems to be taking the position of conceptualism, in which universals are concepts or concepts are universals. The picture he paints of concepts seems to suggest that they're non-spatiotemporal universals or Forms. More than that: he's a conceptual realist. Nagelian concepts are mind-independent; though common to many minds. It's hard to be clear, however, about all this because Nagel rarely goes into the minutiae of his positions on concepts and the rest. Nagel clearly thinks that language shouldn't be boss. Perhaps more than that - in style of Plato - he thinks language is a hindrance to pure thought. He wants to see the world with an “unclouded eye”. Nagel wants concepts and even reasonings to be utterly free - per impossible - from language. In other words, philosophers would be giving up “the ambition of transcendence” if they weren't sceptical about language. They would be held in chains by something as contingent as language. As I’ve said, Nagel’s distaste for language strikes me as having parallels with Plato’s distaste for the senses. Plato transcended into the world of Forms (see passages above). 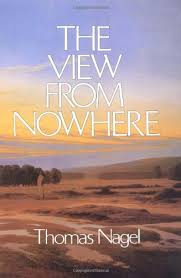 Nagel would like to get free from language and inhabit the view from Nowhere. It's made clear again and again that Nagel sees those philosophers who don’t share his Platonic dreams as spiritually degenerate and, what’s more, as making philosophy “shallow” (1988, 11-12). Basically, it’s the old not-really-philosophy accusation again (traditionally aimed at many great philosophers, from Descartes to Derrida). Wittgenstein, Rorty, Sellars et al are “sick of the subject and glad to be rid of its problems”. More peculiarly, Nagel thinks that they're going “against the philosophical impulse itself”. So just as Chomsky argues that there is a “language faculty” in the brain, so Nagel argues that there is a philosophy faculty there too. More than that: a faculty (a philosophy machine) with a fixed stock of ahistorical and acultural questions and concepts (its data) which make up the a priori of all philosophical thought from the Philosophy Department of New York University to the Polynesian Isles. Such things are what “spring eternal from the human heart”. In fact it's worth noting that it's the late Wittgenstein rather than, say, Derrida who “endangers” philosophy. This makes a lot of sense when bearing in mind that many analytic philosophers have claimed Wittgenstein as one of them. Therefore he's more directly responsible for the fact that the cancer of “linguistic idealism” has spread to the analytic philosophy department than anyone else. Let’s not forget here that, after all, Wittgenstein offers arguments; though Derrida doesn’t (so they say). Again, it's philosophical transcendence that is at threat from Wittgenstein because his position “depends on a position so radical that it...undermines the weaker transcendent pretensions of even the least philosophical of thoughts” (1986, 106-107). Clearly, this squares well with Frege’s notion of a “common stock of thoughts” (Frege, 1956, pp.289-311). In other words, reason is indeed ahistorical. It's the matrix within which every rational human being must work, whether it's the mother who's cleaning toilets at Oxford University or the Cambridge University analytic philosopher at a wine-tasting party next door. If the cleaner is fundamentally at odds with the analytic philosopher, it's because she has misused her “ahistorical matrix” – her reason. In this sense, Nagel is a thoroughbred Kantian despite his realist criticisms of Kant’s “transcendental idealism” (1997, chapter 5). It's not just “concepts” or Fregean Thoughts that are non-natural; reason is too. Nagel quotes C.S. Peirce who says that reason has nothing to do with “how we think”. 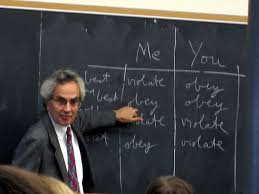 Nagel elaborates by saying that if “we can reason, it is because our thoughts can obey the order of the logical relations among propositions” (1997, 129). Of course this doesn’t take into account where the propositions (some think that these can be “mind-independent” too) come from in the first place. 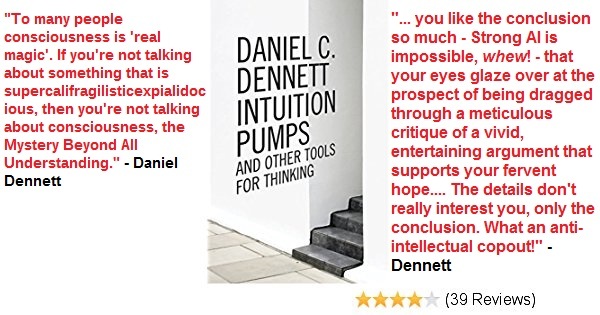 Even if the entailments, inferences and other relations between propositions are indeed necessary and timeless, most of what we actually think about has empirical content. As Wittgenstein himself said, it is what is left after we’ve got the logic out of the way that's important. Despite his constant citations of “concepts” and the givens of reason, this is precisely what Nagel thinks too. I shan’t be discussing the pros and cons of a Nagelian or anti-Nagelian position on mind because I shall try to keep to my remit and make clear what it is about Nagel’s position on mind - beyond the technical debates - which shows him to be taking an ancient and quasi-religious or mysterian stance on the human subject. That stance being a never-ceasing desire to keep man securely away from any attempts to naturalise him. This desire, of course, has a long and venerable tradition dating back to the ancient Greeks. A whole host of characteristics of the human subject have been put forward as truly distinguishing us from not only all the other animals; but also the rest of the universe. Originally, man was “the only rational animal” (laughter was also offered up by Aristotle). Then we had, in no particular order, the mind, the soul, the love of God, language, free will, “complex social structures” and so on. More recently, the distinguishing features of man have been meaning (a derivation of the language theme) and intentionality. However, these characteristics were what were meant to distinguish man from everything else in the universe. The problem with that enterprise is that although there may well be features of man that distinguish us from everything else in the universe, everything else in the universe probably has distinctive features that differentiate themselves from us. (For example, having a hundred legs or being able to survive a mile under water.) This craving for distinctiveness is probably no different in kind from that of one nation differentiating itself from another. Though there is another manoeuvre, of more recent origin. That is, the stressing of aspects of man that can’t be naturalistically reduced to straightforwardly physical/empirical features. Here we have intentionality again, semantics, “raw feels”, the “the intrinsic nature of the first-person perspective”, and, perhaps most recently, qualia. The main threat against Nagelian mysticism or mysterianism is posed by “Darwinist imperialism” (1997, 133). What Darwinism does, according to Nagel, is “eliminate purpose, meaning, and design as fundamental features of the world” (1997, 131). My immediate reaction to that is that the vast majority of Darwininians probably don’t have anything at all to say about “meaning”. So Nagel must be talking here about Darwinist philosophers of mind like, say, Dennett. As for “design”, it depends on what Nagel means. And, in any case, even many Christians have finessed their views on the world’s “design” by taking into account Darwinism. Perhaps I'm misinterpreting Nagel’s reference to the world’s “design”: after all, he does claim to be an atheist. More broadly, what the Darwinian picture offers us is a denial of Nagel’s assertion that “mind is an irreducible and nonaccidental part” of the “cosmic order” (1997, 133). I suspect that not all Darwinists (certainly not all physicalists) believe that the mind is in fact reducible (see Donald Davidson, 1980); though all most certainly do believe that mind is an “accidental” result of biological evolution and all the cosmic physical processes that preceded it. Again, bearing in mind that Nagel claims to be an atheist, what can he mean by saying that the mind is a “nonaccidental part [of the] cosmic order”? And it depends on what he means by “reduction” or the mind being “reducible”. Perhaps the mind can’t be reduced in the way a table can’t be reduced (to atoms and molecules) without losing its essential tablehood, as it were. (Physicists wouldn’t be the ones that explain to us that tables are for eating on or for playing tennis on.) Perhaps Nagel should have said that the mind is not eliminable rather “irreducible”. Again, it is in Nagel’s attitude to reason that the philosopher’s quasi-mysticism or mysterianism can be seen. For example, why does he feel the need to say that the “basic methods of reasoning we employ are not merely human” (1997, 140)? What could that possibly mean other than a religious/mystical meaning? To put it starkly, I think, and have good reason to think, that Nagel believes that reason and mind are not “human”. 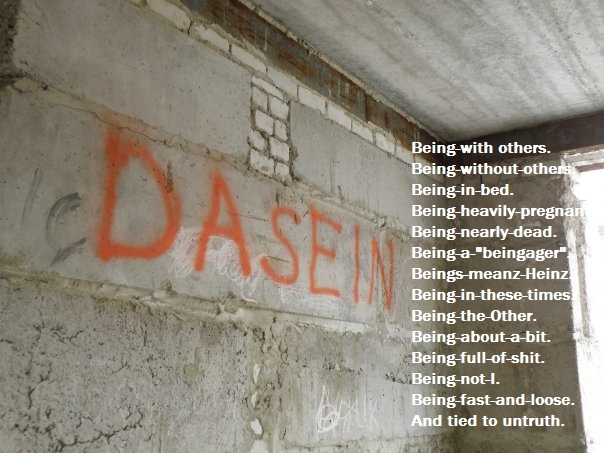 He believes that reason is a faculty of a Platonic/Judeo-Christian non-extended, non-corporeal soul. Another mantra of Nagel's is that human subjects are not objects. This position is clearly seen in certain debates in the philosophy of mind. More precisely, Nagel vehemently rejects all attempts to what may be called scientise the mind. This can be seen in the on-running third/first person debate. As a self-confessed Cartesian, there is something about the first-person perspective that could never, even in principle, be caught by the third-person language of science. Nagel thinks that no scientist could ever tell us “what it is like to be a bat” or what it is like to be Thomas Nagel. (1979). 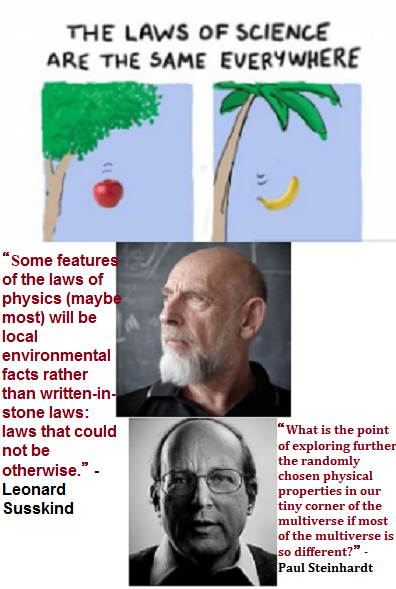 That is, whatever we say about the evolutionary heritage of intentionality (if there even is such a thing), or the physics and neurobiology which underpins it, we could never, as it were, indulge in a priori reasoning to satisfactorily arrive at the effect (i.e., intentionality) exclusively from the causes (i.e., natural conditions). And even if we work backwards with purely a posteriori reasoning from the phenomenon of intentionality itself, natural conditions may be necessary; though they would never be sufficient for a satisfactory explanation of intentionality. In fact, intentionality is something (or has something) that the rest of the universe simply doesn’t have. It sticks out like a sore thumb both in nature and in the minds of non-naturalist and mysterian philosophers (even the odd physicist and even odder biologists). As Brentano argued over 100 years ago, “aboutness” is irreducible. The above is a good a telos for an essay as any.